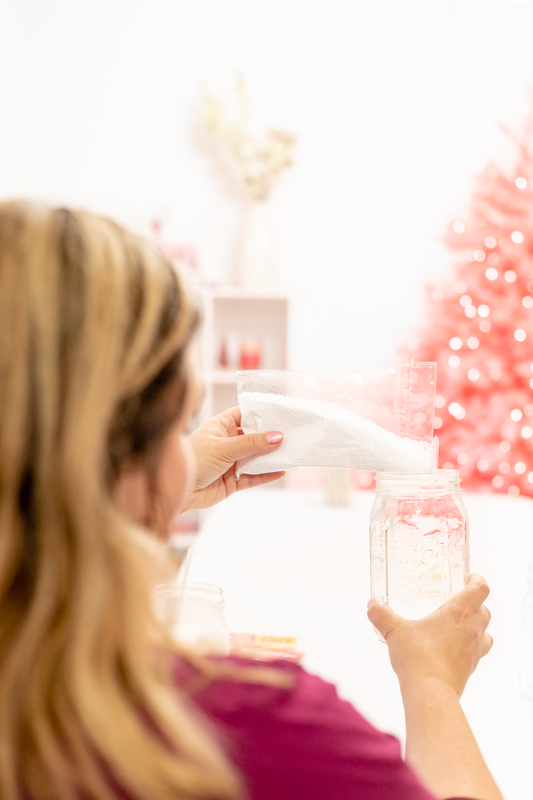 I just love a good DIY gift, don’t you? 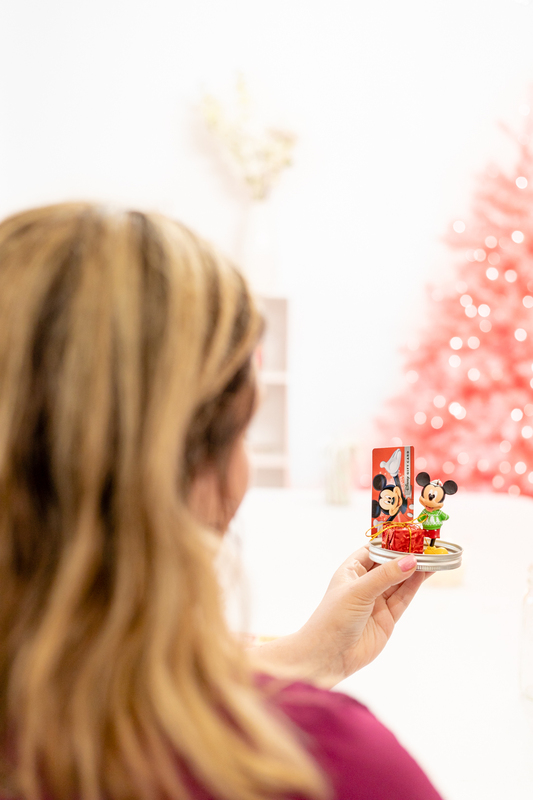 Make it a Disney DIY and I’m all over it! 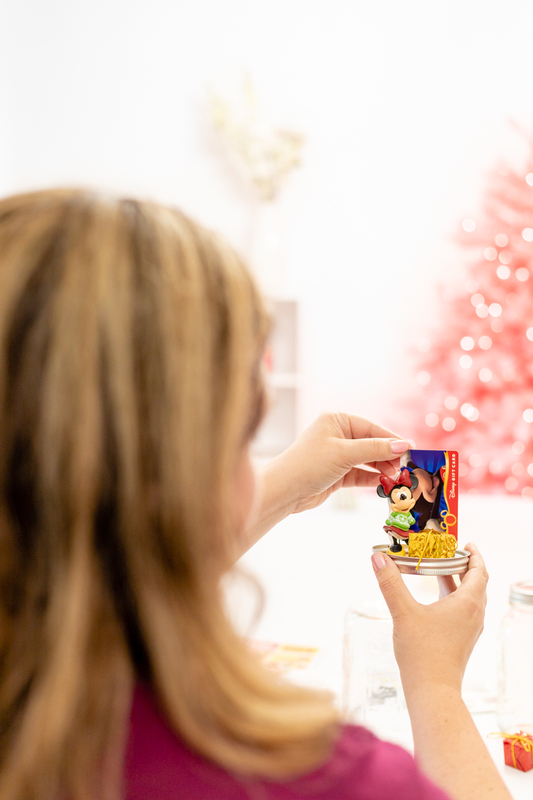 Today, I’m sharing a super cute way to give a Disney gift card this holiday season. I’m also sharing how to hurry on over to Winn Dixie to get more bang for your buck on your gift card purchases so keep reading for details! This post is sponsored by SE Grocers, all opinions are my own. Today’s crafty goodness celebrates the special points offers available at SE Grocers like Winn Dixie! I’ll show you how you to hurry on over to take advantage of points offers down below. It’s the perfect time to shop for gift card gifts or to earn points on things you would already be spending money on. Keep the gift cards or give them away, you’re rewarded either way! More on that in a minute! 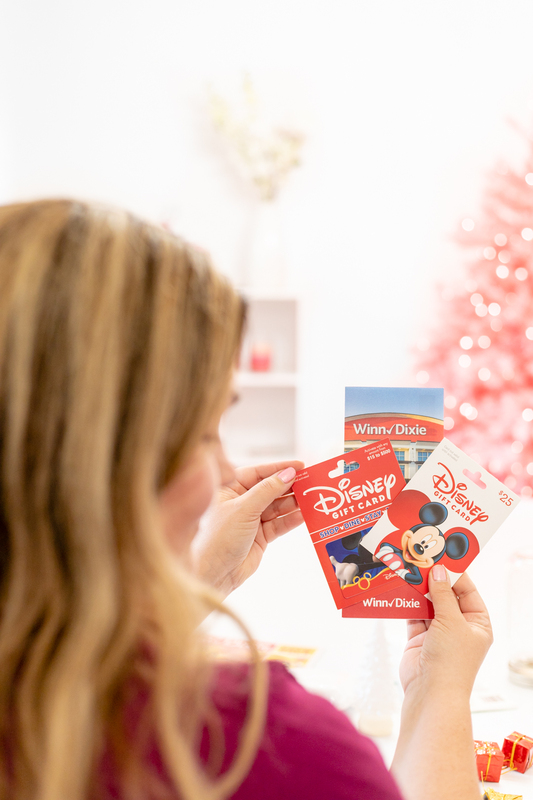 Now, here’s what to do when you gift Disney gift cards with this offer! 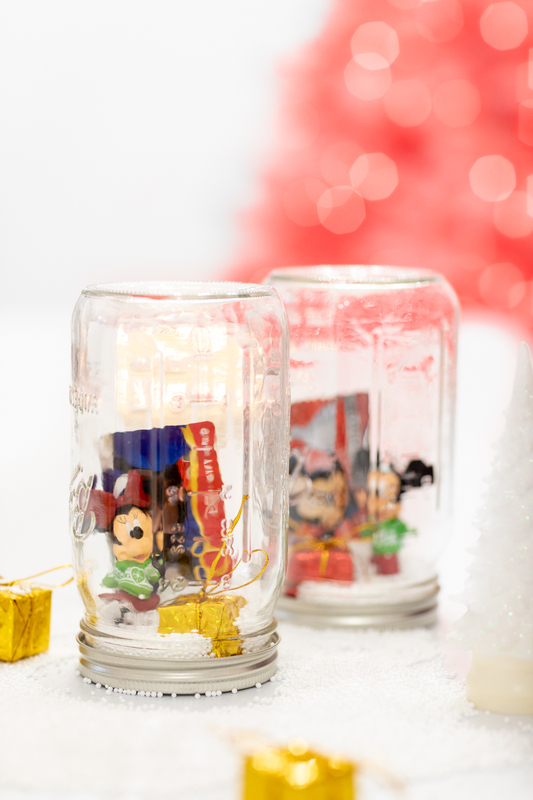 Here’s what you need to make these super fun gifts! Before jumping in and using your glue gun, make sure to to a trial to make sure everything will fit onto the lid. 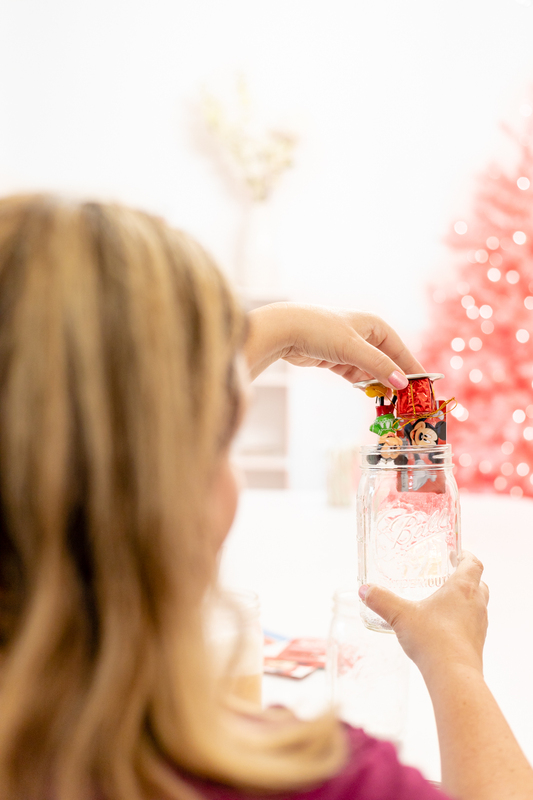 Once you have your layout ready, you can start gluing each piece onto the inner part of the jar lids. Make sure to place the gift card into the mini clothespin clip before gluing it onto the lid. 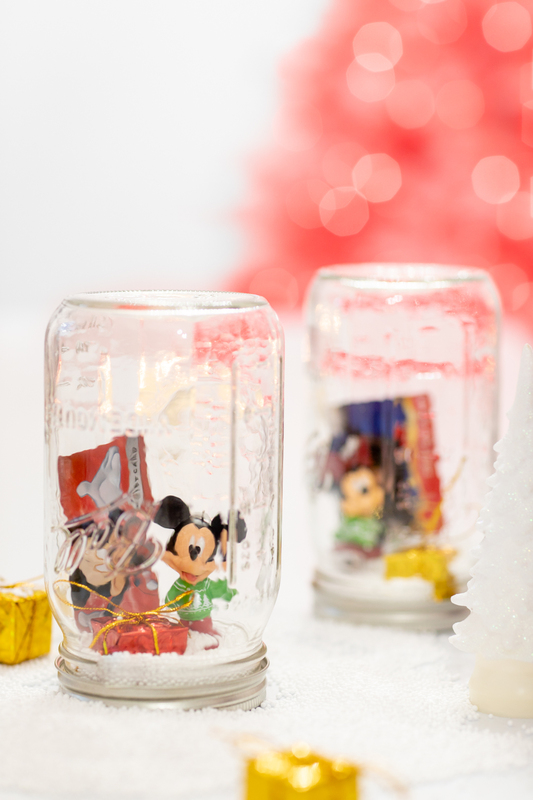 For a final fun touch, add some fake snow to each jar. Not too much so you don’t bury your cute little scene. Then, place the decorated lids into the jars. It’s almost a wrap! 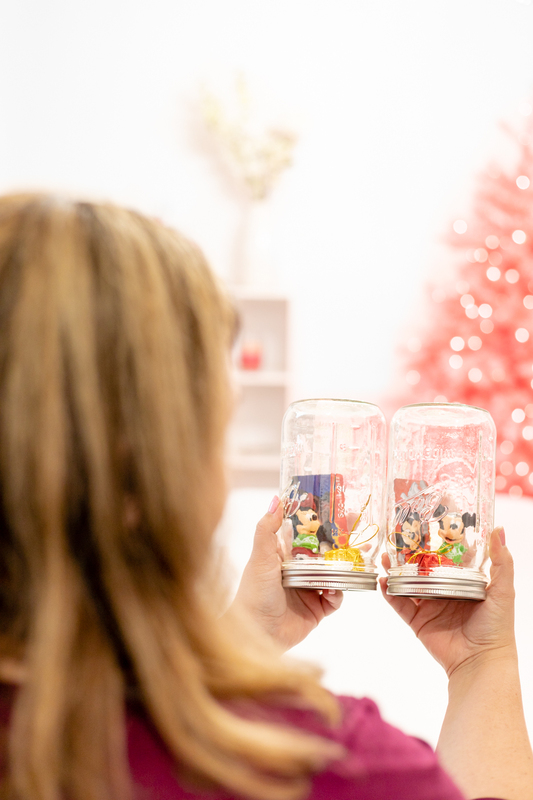 Seriously how cute are these Mickey & Minnie themed jars? I love how easy they were to make on top of it! Stretch your dollars and boost points! Love to get rewarded for shopping? I sure do! 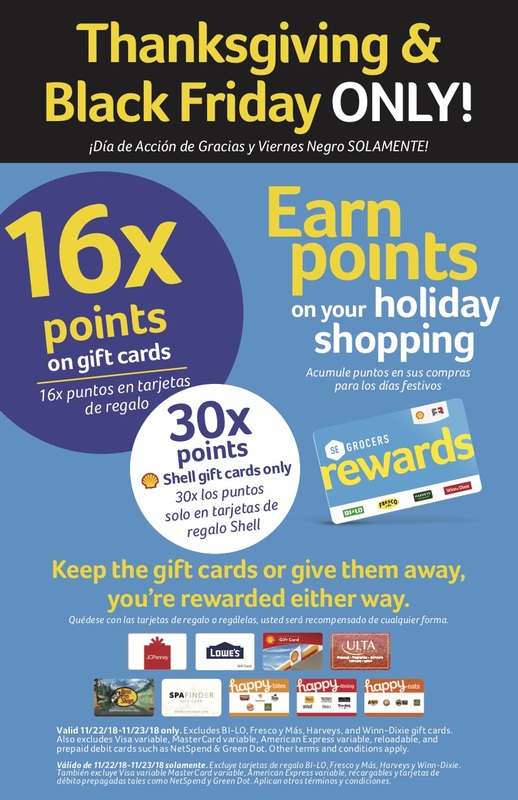 This holiday season, get more for your money when you shop for select gift cards with your SE Grocer Rewards Card. It’s free to sign up if you don’t have a card yet and holiday season is the perfect time to start getting rewarded if you ask me. Southeastern Grocers stores include BI-LO, Fresco y Más, Harveys Supermarkets and Winn-Dixie stores. Learn more about this awesome Gift Card Promotion. Holiday shopping just got way more fun! Enjoy!